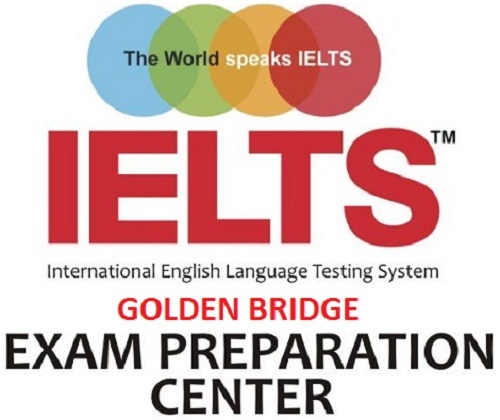 GOLDEN BRIDGE International Education Center is Cambridge English Language Assessment Exam Preparation Centre! community, preparation centres are entitled to a variety of benefits such as access to the Preparation Centre Website, exam factsheets that can be sent directly to candidates. GOLDEN BRIDGE also has the ability to view and download candidates exams results before they are sent to the candidate. Languages can build a bridge...and business deals! Nelson Mandela once said that "If you talk to a man in a language he understands, that goes to his head. If you talk to him in his own language, that goes to his heart." Knowledge of English language has become a very important part of our life. It is difficult to start a career and get promoted without it, or simply exist in the society where you daily come across such words as "sale", "business", "fun", "upgrade", "chat", etc. If you have decided to learn English, you will definitely face the question, what English language courses to choose, why everyone knows that a right choice guarantees successful and effective training. Our courses will help you to apply the gained knowledge both at academic institutions and in a modern business society. Learning English as a foreign language can be a difficult task. We are here to help you choose an English course that suits your language level and that is right for you for whatever you need it for. We offer English courses to improve your English to use in everyday situations, study for a Cambridge English examination or perhaps you need to prepare for a new job. Our mission is to provide high quality English language instruction which will enable our students to achieve personal, academic and career success. Each student takes free placement test that shows his/her level and its results determine what course will be the best and the most effective one for him to take. You can have a free trial lesson on Fridays. Make sure you call in advance to arrange your free trial lesson. What kind of Courses can I do at GOLDEN BRIDGE and how much does it cost? If you are already working, or intend to work, in the Hotel and Tourism Industry, then this Course will help you to understand, speak, read and write the English you need. 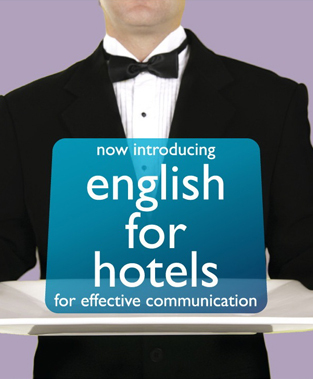 Improving English skills by hotel staff can result in improved services to hotel guests and enhance the persons employability. 2 hrsX2 times/week = 200 GEL a month. At the end of your course you will be presented with your GOLDEN BRIDGE Certificate of Achievement, provided that you have met our course requirements. If you sit a Cambridge ESOL or IELTS examination you can finish your course with one of these well-known internationally recognised qualifications. 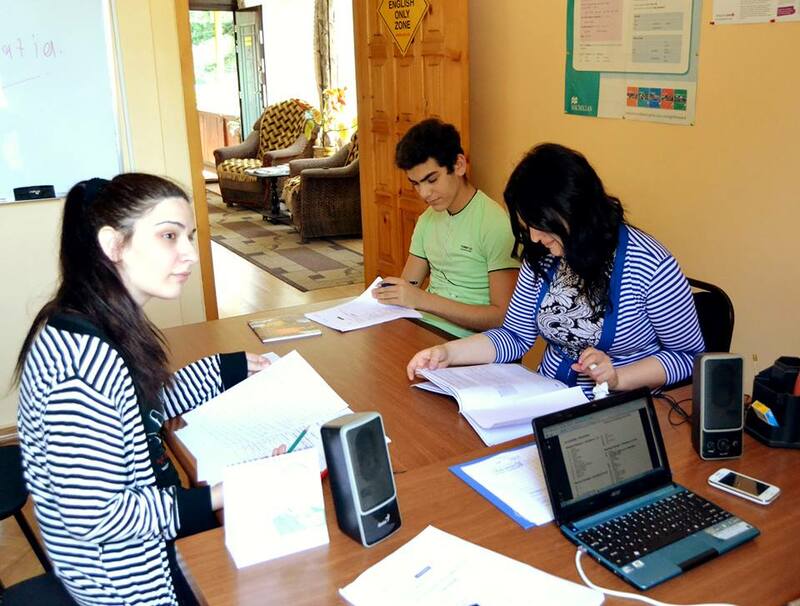 Our academic team plan and structure your English course to ensure that it is varied, stimulating and challenging. The course is specifically designed to help you reach your goals. GOLDEN BRIDGE teachers are professional and experienced in English language tuition and undergo continual training in the best and latest teaching approaches. They are chosen for their ability to inspire and give you the knowledge and extra confidence you need to use English to the maximum of your ability. Together we identify the right English Course for you at GOLDEN BRIDGE Center and establish your language requirements. 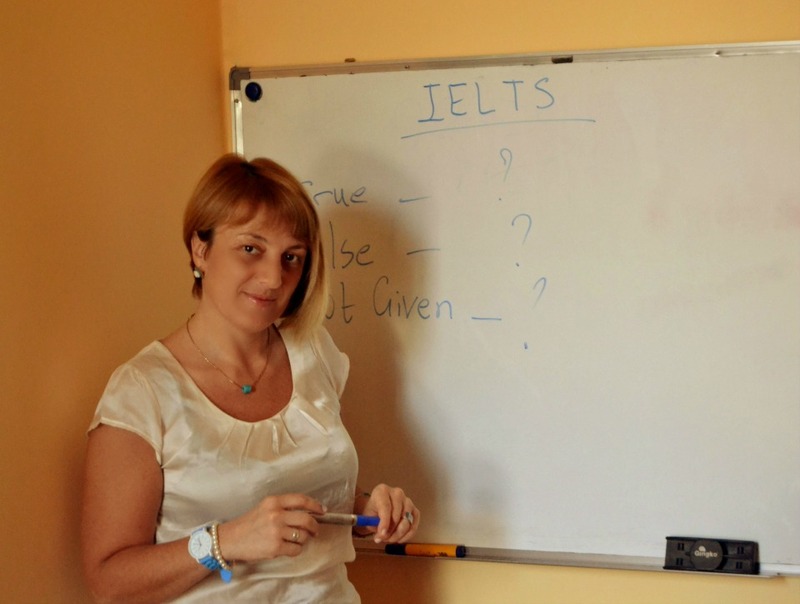 We will give you a free placement test to assess accurately your English language ability. By knowing this we can place you in the right class with other students of the same level. In class you will improve step by step and your teachers will monitor your progress and show you what you need to do in order to progress. When you arrive, you will bring with you the English you already know. We will check this knowledge and consolidate it, making sure that you don't have any gaps in your knowledge and ensure that you do not repeat common mistakes. We will teach you the new language skills you need. Your course will give you the grammar, vocabulary and the language skills you need to improve your level or to move from one level to the next according to the length of your stay. Some of your English knowledge will be slow to access: it may be accessible enough for your Reading and Writing skills but not fast enough for Speaking and Listening. An important part of all our courses is making this passive knowledge active so that your Speaking and Listening skills are greatly improved and you have much more language that is immediately accessible. We maximise your ability to use all the English you know and are learning. Using a language is a skill and like any skill the more confidence you have the better you are. We will give you lots of opportunities to practise all four language skills (Reading, Writing, Speaking and Listening). At GOLDEN BRIDGE Center you will be continually interacting with other English speakers to improve any language weakness you may have. We work hard on your English and like other GOLDEN BRIDGE students before you, you will leave feeling confident, energised and in the best position to learn English. GOLDEN BRIDGE Center has an 'open-door' policy - students are welcome to discuss any aspect of their course at any time. 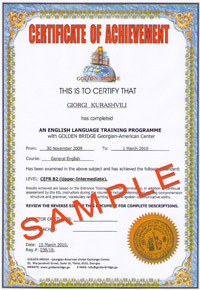 Why study English with GOLDEN BRIDGE? * With Golden Bridge English Language Courses you will improve your English language skills to gain confidence, communicate more effectively and develop your grammatical knowledge. *Our English lessons focused on speaking, listening, reading and writing. Activities designed to improve fluency, pronunciation, grammatical accuracy and to expand useful vocabulary. *Students are placed in a class of the correct level that enables a student to start learning at any level from Elementary to Advanced. *Our Courses involve Examination Preparation tuition in order to get an International Certificate. 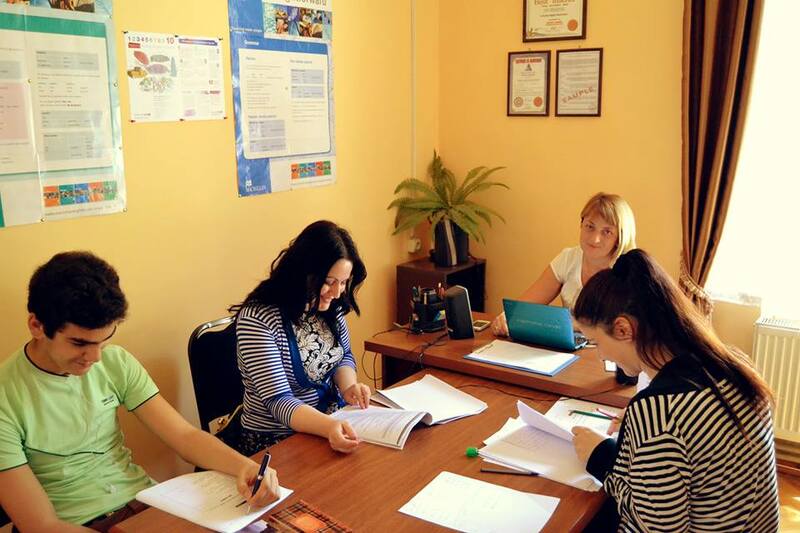 Each of our students receives Certificate upon a successful completion of an English course. Language is "a live organism" and it, therefore, is subject to constant changes. 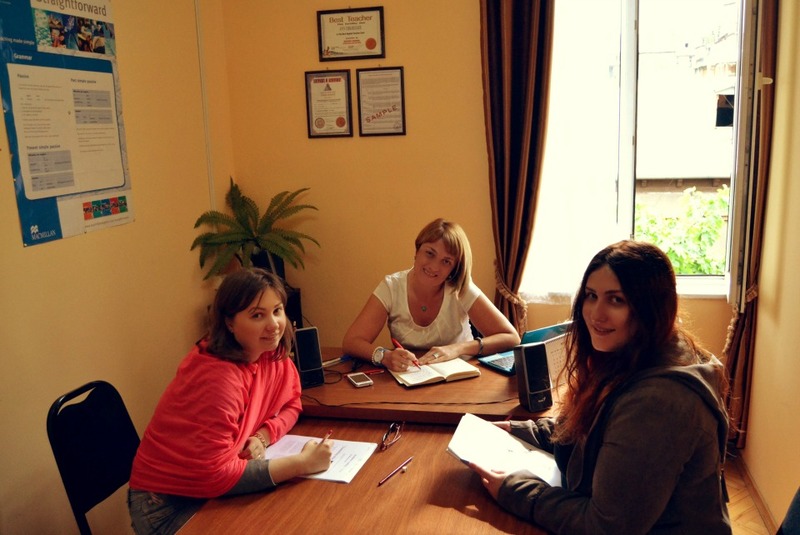 English Language classes are held by an experienced and highly qualified teachers, that have undergone training in Great Britain. They are flexible, energetic and young teachers, who are open-minded and ready to include innovations into the teaching techniques. One of the most important things about the GOLDEN BRIDGE is every individual student’s relationship with his or her teacher. We believe that GOLDEN BRIDGE teachers are special, not only because of their qualifications, but because they are friendly, relaxed and approachable and are always available to answer students questions, even outside class time. Our teachers are enthusiastic about teaching and have different backgrounds and interests, which adds to the diversity of topics you will be able to discuss. All the course books at out training course have been established by leading British experts in the field of teaching English as a foreign language, they, therefore, in the combination with modern teaching techniques, guarantee a very effective result and an easier way to learn to speak fluently without making mistakes. Almost all tasks at all levels are connected with colloqual practice and listening audio materials. This provides the constant control and correction of a pronunciation up to high levels. All obtained grammatical material is put into practice at once both at academic and conversational levels. What are the benefits of taking a training course at Golden Bridge? The main advantages of our courses include an active training process and a small number of students in a group so that the teacher is able to give a lot of individual help and support as well as individual feedback. Therefore, the process of learning is much more effective. After each class, you will definitely be given homework that will approximately take 2 hours of your time in a day. It will negatively effect the efficiency of studying process and there will be no use in attending classes if you don't support the gained knowledge at class with fulfilling tasks at home. Each of courses is based on practical tasks and all the obtained knowledge is put into practice at once. How do you provide an individual help and support? Despite a very small number of students in a group (4-5 max) and placing them into the groups according to the level of their English, there will always be "stronger" and "weaker" students. In this particular case, a teacher pays more attention to each student, changing the degree of complexity of homework, supporting student and encouraging and motivating him or her. How do I book a course at Golden Bridge? It is preferable if you find time and visit us at our Studying Centre where you can get more detailed information and fill in the application form. Please note, that you will need to undergo a placement test and an oral interview to be placed on a course. After taking a placement test you will be given an individual feedback and will be able to speak to our course adviser who will help you to choose a right course for you. Do you have Preparation Courses for taking International Exams? KET (Key English Test), PET (Preliminary English Test), FCE (First Certificate in English), IELTS, TOEFL. If you wish to study or work where English is the language of communication, you will have to have a trusted and valid indicator of ability to communicate in English. The high security of UK exams means they are taken as unquestionable evidence that the holder has achieved the stated level. As well as knowing that your qualifications will be widely recognized, you can also have confidence that the exams are a fair test of your knowledge and ability. IELTS (International English Language Testing System) is jointly managed by University of Cambridge ESOL Examinations ( Cambridge ESOL), British Council and IDP: IELTS Australia. 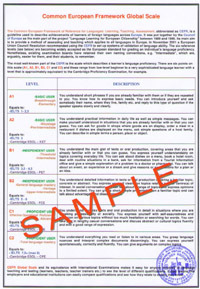 IELTS conforms to the highest international standards of language assessment. It covers the four language skills-listening, reading, writing and speaking. IELTS is recognized by universities and employers in many countries, including Australia, Canada, New Zealand, the UK and the USA. It is also recognized by professional bodies, immigration authorities and other government agencies. IELTS is available in two formats-Academic and General Training. You are free to choose the one to suit your needs. Results are produced 10-13 days after the test, that remain valid for 2 years. KET(Key English Test) is Cambridge ESOL's exam which recognizes the ability to deal with everyday written and spoken English at a basic level. KET is Cambridge ESOL's exam which recognises the ability to deal with everyday written and spoken English at a basic level. A KET certificate is valid for life. You will not need to take the exam again. KET is a truly international certificate, recognized around the world for business and study purposes. Tousands of employers, universities and government departments officially recognise KET as a basic qualification in English. PET (Preliminary English Test) is an exam for people who can use everyday written and spoken English at an intermediate level. It covers all four language skills â€” reading, writing, listening and speaking. Preparing for the exam is a popular way to develop and improve your language skills because it provides practical language practice in a variety of everyday work, study and leisure situations. FCE (First Certificate in English) is an upper-intermediate-level Cambridge ESOL exam, at Level B2 of the Council of Europe’s Common European Framework of Reference for Languages (CEFR). This means that if you pass FCE, your level of English is good enough to be of practical use in many types of job. It is ideal if you want to work or study abroad or to develop a career which requires English. FCE will give you these kinds of practical language skills. FCE is a truly international exam, recognised by thousands of industrial, administrative and service-based employers as a qualification in upper-intermediate English. It is also accepted by a wide range of educational institutions for study purposes. If you are interested in taking either the Secondary Level English Proficiency Test (SLEP) or Diagnostic English Language Test (DELT) and receiving a CERTIFICATE you should click HERE. -"I just want to thank all of you for this amazing time I`ve had in GOLDEN BRIDGE Center! When I came to the Center I couldn`t say or understand anything. Today, 7 months later, I`m studying in Upper-Intermediate dreaming of going to Advanced. GOLDEN BRIDGE has qualified teachers who really like teaching and student services staff who have always helped me with anything that I`ve needed. This is what makes me give advice to others – study at this excellent Center!". Mariana Pavlova.